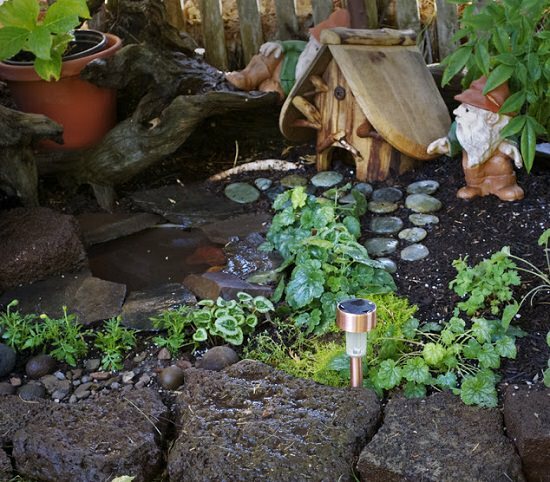 Attract toads and frogs to your garden to keep the garden pests at bay. Here are the 8 ways! 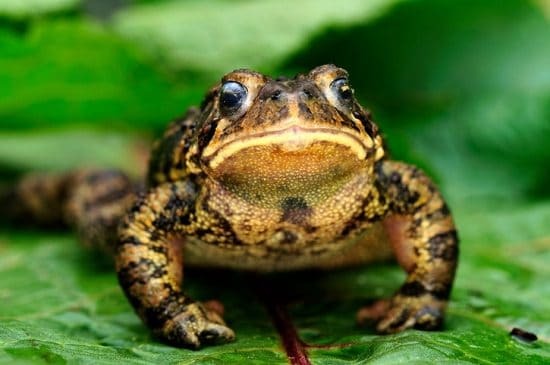 Attracting toads and frogs to the garden brings two benefits–first, they look super cute and second, they help to control pests lurking in your garden. So without further ado, find out the ways to attract them. Like other amphibians, toads and frogs breathe (completely or partially) and drink through their skin. 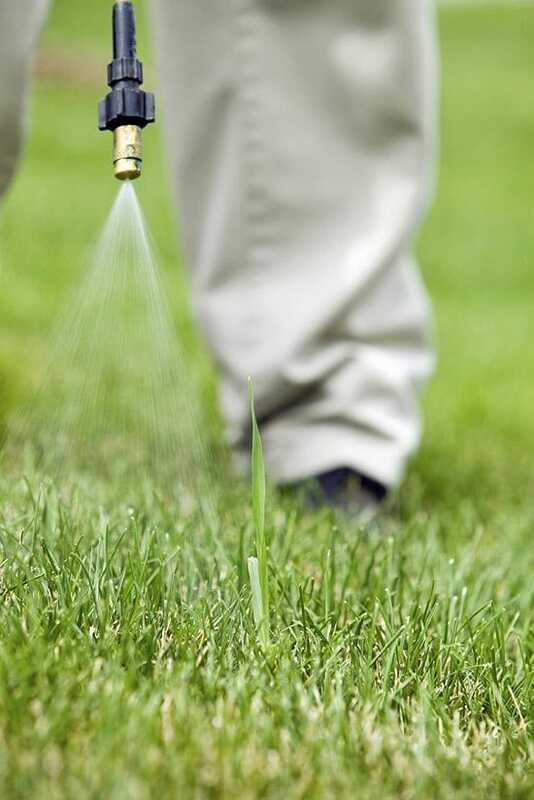 If you use pesticides, herbicides or fungicides or any other chemicals for pest control your garden, they can not survive. But then, how will you control the garden pests and insects, the answer is simple–frogs and toads will do that work for you. An adult toad can eat up to 100 insects in a day. 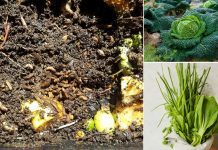 Also, you can opt for other organic gardening techniques to get rid of pests. Almost all frogs and toads are nocturnal, which means they venture mostly in the night. They live near water bodies and avoid direct contact with the sun, especially when the weather is really warm to save themselves from dehydration. All this indicates that the shelter provided for frogs and toads should be a cool, dark, damp place. The housing can be created by arranging bricks in the form of a small cave. Another way is by placing clay pot upside down in a way that it provides an opening. 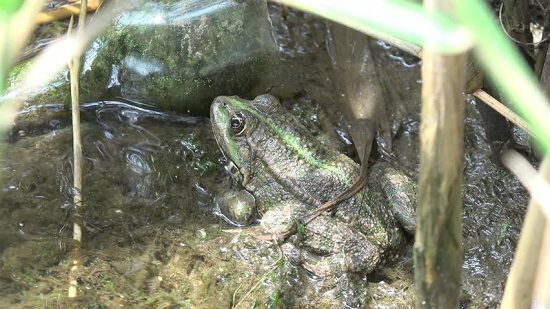 Locate this frog shelter near low growing plants and shrubs. Toads and frogs both are amphibians, which imply they do not drink water but absorb moisture through their skin. Also, they lay their eggs in water. That is why they love to reside near the moist places. To host toads and frogs, you need to have small water bodies or pond in your garden. Here’s the DIY tutorial! 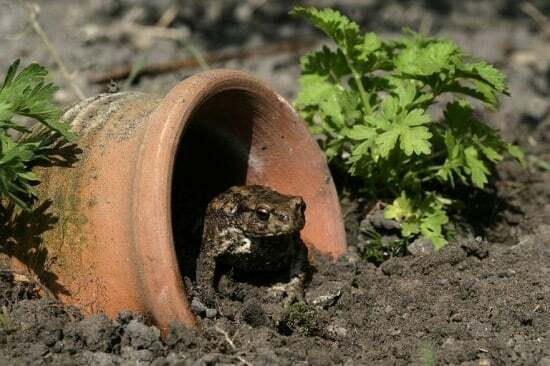 An easy way to build artificial water bodies is by placing a few large shallow pots filled with water in unassailable frog friendly spots of your garden. 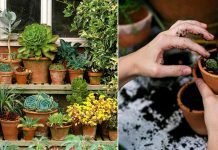 Don’t let the pots to dry out completely and keep filling them with water. You should handpick plants with care for plotting nearby the frog habitat. Many plants are poisonous to frogs and toads. Certain edible plants that are harmful to amphibians are eggplant, rhubarb, potatoes, and peas. If you have a flower garden, avoid planting oleander, Honeysuckle, Azalea, Daffodils, Hyacinth nearby the shelter. If you’re willing to create a frog garden, there are many other plants to avoid. Check out the complete list here. You can grow aquatic plants in your pond as it increases the oxygen level in the water. Plotting native grasses and moisture-loving plants around the perimeter of the pond provide shelter for frogs and toads. Also, such type of planting attracts insects that are a good food source for frogs and toads. Check out some amazing pond plant ideas here. Keep in mind that it is likely that frogs and toads will be lazing around in your lawn if you do not trim the garden grass regularly. 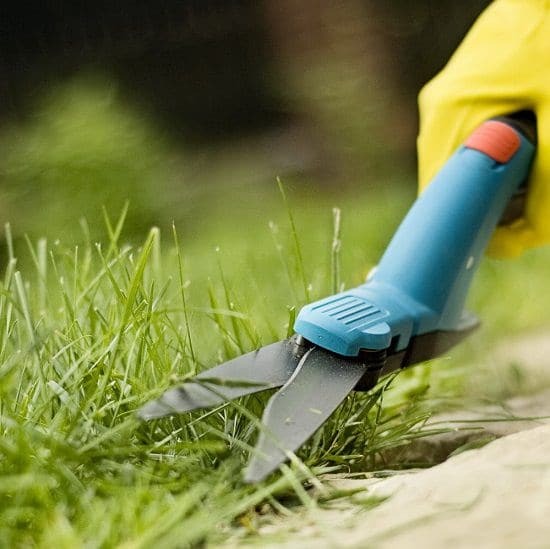 It will be a mortal danger to them, as their lives would be at risk while mowing if they are lurking in the grass. Children and pets might accidentally tread on them as well while playing. To avoid this scenario keep your lawn trimmed. Children are always curious about their surroundings. They may wreck the shelter for toads and frogs. 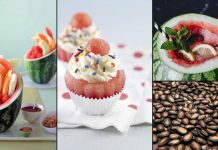 Also, if you own pets, they might treat them as their chasing toys and even like to have them for their dessert. It will not only be a danger to your amphibian friends but can also endanger your pets. When threatened, they secrete a burning foul odor that can irritate nose. Also, oral exposure to toads can cause allergic reactions in your house pets as these creatures have poison glands in their skin. To avoid this, the best way is to build an enclosure for the shelter or make your frog habitat somewhere else. Caveat: If you have young kids or pets that are curious by nature, disavow the idea of creating a frog haven in your garden. 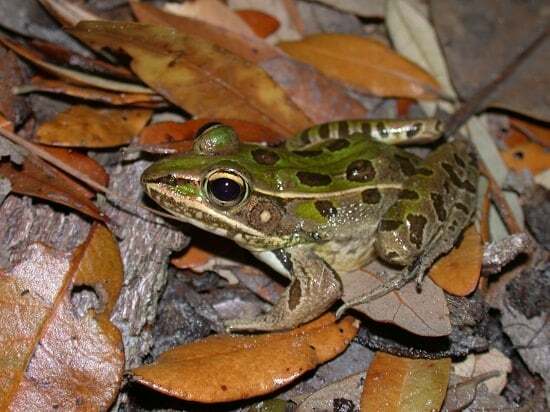 Keep in mind that even if frogs and toads reside in your garden, their population can reduce drastically if you do not provide a proper food source. One easy way to do that is by keeping a compost heap ready. Insects and other bugs are attracted to these heaps, which is what the frogs need. Also, removing leaf litter from the garden must be avoided. Not only it works as a mulch but also provides shelter to these amphibian friends from predators. Worms, snails, slugs, spiders, centipedes, millipedes, and beetles lurk in leaf litters, which often become a quick meal for toads. 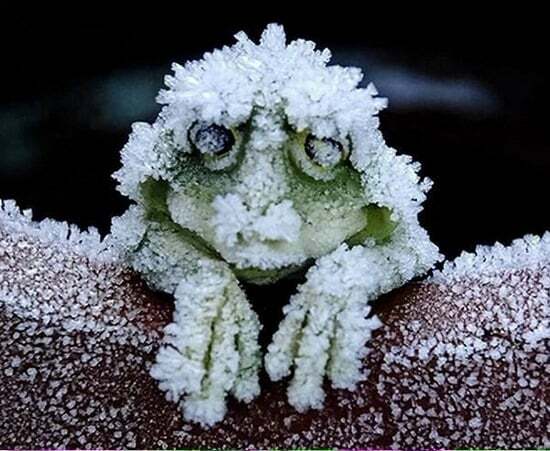 Frogs and toads are cold-blooded amphibians and hibernate in winters. If you live in a cold climate, take special care. During the period of their hibernation try to provide suitable hibernating shelters. One way to do that is by digging a few holes nearby the shelters and filling them with a mixture of dead leaves and compost. This will keep frogs and toads warm and safe throughout the winters. Dead logs can also be the haven for hibernation.